SEATTLE, June 25, 2018 /PRNewswire/ -- Leading fashion specialty retailer Nordstrom, Inc. is pleased to announce the launch of its 2018 Anniversary Sale marketing campaign, debuting today in the U.S. and Canada. The company partnered with four fashion-savvy comedians for the one-of-a-kind sale, which takes place from July 20 through August 5. 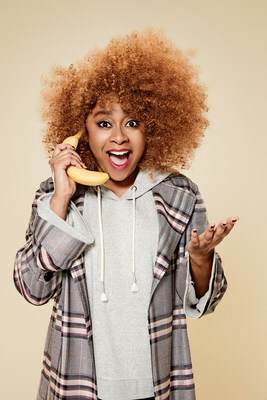 The full cast includes Liza Koshy, multi-hyphenate entertainer: actress, Double Dare host and star of Liza on Demand; Daniel Levy, writer, producer & Schitt's Creek actor; Phoebe Robinson, 2 Dope Queens comedian, New York Times bestselling author, and actress; and Hannah Simone, New Girl actress. The campaign was shot by Mary Ellen Matthews, who is best known for her portraits of celebrity guests and the cast of Saturday Night Live, as well as videos she has directed for the show since 2010. This diverse group of individuals love fashion, have a great sense of humor, are passionate about their work, and express their style in a fresh way that Nordstrom believes will appeal to customers. "Fashion is about having fun and we think we've captured that with this campaign," said Scott Meden, Nordstrom Executive Vice President and Chief Marketing Officer. "We believe in the power of personal style and in making customers feel good. We hope customers enjoy the energy and wit our stylish comedian cast bring to the campaign." The photo and video campaign will be featured on nordstrom.com/anniversarysale, on the retailer's social platforms, and in the Anniversary Sale catalog. Advertising components include digital, print, out of home, shopping bags, store windows and in-store displays. The comedians also filmed short videos promoting the retailer's "Show Us How You #NSALE" sweepstakes, where customers can submit an Anniversary Sale photo or video via social media or online to express their enthusiasm for the sale and win a $500Nordstrom Gift Card. 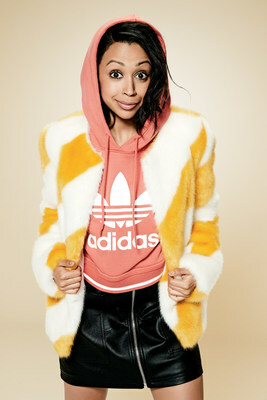 Liza Koshy: "Nordstrom has a diversity of brands that work for many personal styles and body types. It's really representative of our generation. And who doesn't love a discount? I only shop sales." Daniel Levy: "I'm just going to be honest: I'm cheap and I love a good sale. I buy all of my favorite clothes on sale - the special pieces I want but just can't bring myself to buy at full price. The Anniversary Sale is great because these are brand-new arrivals – but at super sale prices." Phoebe Robinson: "I go way back with Nordstrom because I got my prom dress there in high school. What I love about Nordstrom is that they have easy, ready-to-wear stuff. You can get really cute clothes! And that they're having a sale means you can get more clothes!" 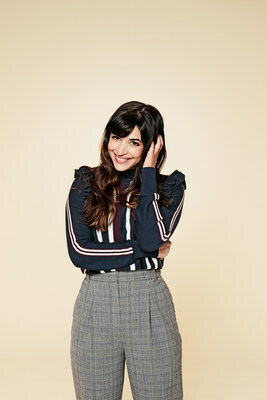 Hannah Simone: "When I grew up, my family moved countries every few years, and we lived in places with amazing bazaars and markets such as Cyprus, Saudi Arabia and India. The Nordstrom Anniversary Sale reminds me of these markets. It's a diverse shopping experience with incredible options to buy from different designers. And you get a great deal!" The Anniversary Sale originated in the 1960s and is the company's biggest event of the year. This one-of-a-kind event offers brand-new arrivals at super-sale prices for a limited time – then prices go back up after two weeks. Sale items include brand-new clothing, shoes, accessories, home items and beauty/grooming for men, women and kids, including limited-distribution brands like Topshop, J.Crew, Madewell, Charlotte Tilbury and more. The company hopes to inspire and engage customers across price and style spectrums and create a sense of newness and discovery in-stores and online. Nordstrom cardholders have the exclusive ability to shop Anniversary Sale before everyone else during Early Access, starting July 12 in the U.S. (and July 17 in Canada). More information is available at nordstrom.com/anniversaryearlyaccess. Nordstrom, Inc. is a leading fashion retailer based in the U.S. Founded in 1901 as a shoe store in Seattle, today Nordstrom operates 371 stores in 40 states, including 122 full-line stores in the United States, Canada and Puerto Rico; 237 Nordstrom Rack stores; two Jeffrey boutiques; two clearance stores; seven Trunk Club clubhouses; and its Nordstrom Local service concept. Additionally, customers are served online through Nordstrom.com, Nordstromrack.com, HauteLook and TrunkClub.com. Nordstrom, Inc.'s common stock is publicly traded on the NYSE under the symbol JWN.